With only 14 weeks to go there is light at the end of the training tunnel, but things are getting tough as my training starts to peak. I have had a tired and hungry week so far this week. A 6 mile beach run on over 24 hours without food due to bad timing on one of my fast days was tough; and the planned easy session the following day (2nd fast day) was cut short as the energy just was not there. My lower back has been twinging too, but I think that has more to do with the laptop I am lugging 2 miles uphill to the office each day when I am in Aberdeen.Yes, it has been a tired week. Next week is a ‘dress rehearsal’ to see how I cope with long efforts close together. It can in no way truly simulate what I will have to undertake, but it will test my strength and fitness, and provide an opportunity to further develop and tweak my nutrition and training over the last couple of months. 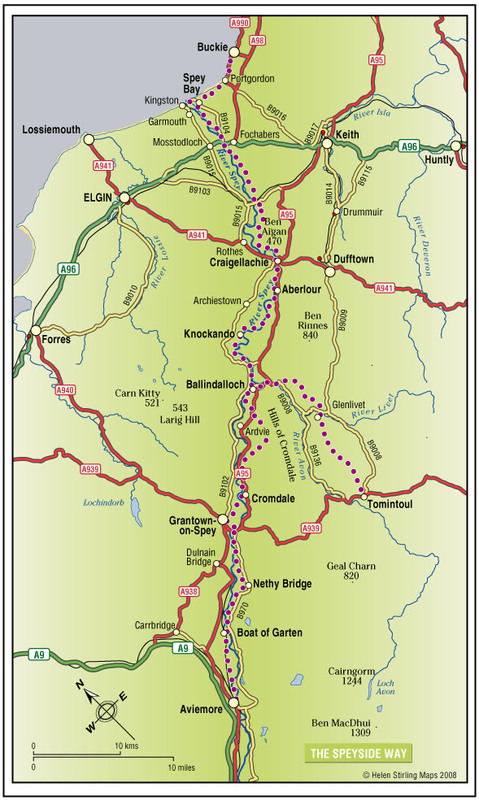 The dress rehearsal consists of a 20 - 21 mile run on sand followed by the 36.5 mile Speyside Way ultra 3 days later. 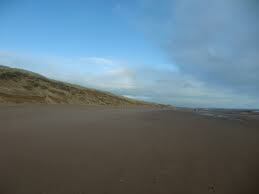 The beach run will provide a long run on a similar surface to the snow. It will be a controlled effort with nutrition being taken every 3 miles just as will happen during the 100km in Antarctica. The Speyside way effort will test my ability to recover and refuel and to sustain another long effort. I am also doing this largely without my usual support crew. However, a friend is going to run with me on the beach and another friend is going to check in with us every 5 miles or so. The ultra is different though. At previous ultras I have always had some support at some point, be it drop off at a start and/or meet at finish, or full route support. At Speyside, for the first time I will have to rely solely on myself. There will be no one to double check I have all my kit and paraphernalia , drop me off, meet me en route or tip me into the car and drive me home after I finish. A small thing for many of you who are accustomed to doing this, but for me a new experience that brings along with it a slight nervousness. But I am a big girl now and a seasoned ultra runner, and a lean mean running machine (almost), so it is time to stand on my own two feet. Let’s face it I will have to look after myself in November. Also, Alasdair needs a break from hanging around waiting for me to pitch up and growl at him. On the subject of lean and mean: I have already mentioned in my blog entries that my weight has come down and my body has been changing. The other week I had a bit of Peter Pan moment with my shadow. Trotting along with the sun behind me I glanced down and saw a strange and unfamiliar figure: it looked positively athletic! That was surely not my shadow, and I actually glanced round to see who was running behind me. No, definitely me. I have to be honest here. Other than my training a few minor tweaks to my diet I have not had to work particularly hard to lose the weight and body fat. I have not had to think too hard about what I am eating. It has been a bi product of the training. However, I have been advised to aim to lose a further 30% of my body fat, and to start to build muscle. I am now going to have to actively work on this. I think it will be my diet where I will feel it most. The old saturated fats have been targeted and my love of butter has been spotlighted. But it tastes so good, and food with butter in it tastes so good. Fish with a butter, lemon and caper sauce is like nectar, food of the gods. Apparently, I don’t need both butter and almond butter on my bagel or both butter and cream cheese. I have to curb the grazing on those plates of charcuterie and cheese and wine, be a bit more careful with what cuts of meat I eat. I will probably have to take a bit of a look at the alcohol consumption too and make a few tweaks and reductions. My twice weekly weights sessions have always been based on a lower weight higher reps routine, but now will shift to heavier weights and lower reps. The sessions will be harder, but they will be shorter. Bonus! It frees up a bit of time in my busy schedule. The theory is leaner is faster and bigger muscles store more glycogen. The clothing can insulate me, and there will still be fat there to burn as fuel. I was told that it would be a look that I probably would not like, but that I would not have to stick with it after the challenge. I have pondered over that and it took a while to figure, but I think it is what my mother would call an unhealthy look. What are we going for here? 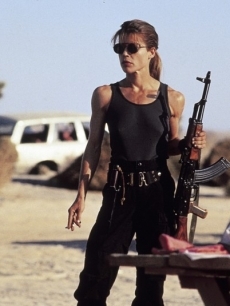 Well I am thinking a kind of Sarah Conor (Terminator 2) look maybe? That could be OK; certainly lean and mean. And as a friend pointed out; handy if I have to save the saviour of the human race from homicidal robots.